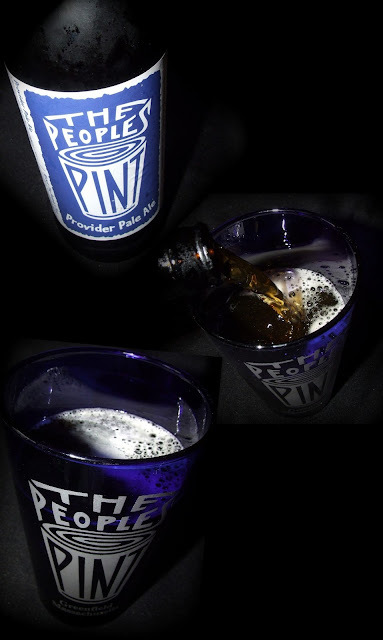 It was September 2008 when I first discovered the People's Pint. My husband and I were doing a pub crawl with friends and fellow beer lovers from Chicago and the People's Pint brewpub was one of our stops. We hit pubs from Connecticut to Vermont that day - People's Pint, Long Trail, McNeill's Brewery and Willimantic Brewing - and had a great time and drank some yummy beer along the way. Then recently, hubby and I were headed home from New Hampshire and stopped at Ryan & Casey Liquor Store. We had heard they had a great selection of craft beer. We weren't disappointed. Imagine my excitement when I spied bombers of People's Pint beer in the cooler! We didn't have a lot of room for cold stuff, but we made room for just one more bottle. Provider Pale Ale was on tap fresh from the brewery that clear September day so long ago. I don't remember if that's what I had but that's what I got from Ryan & Casey. Provider Pale Ale (5.2% ABV) pours a bright amber with a bright white head that quickly diminishes leaving a fine layer of foam behind. The aroma is mild but, if you take a good snort, both sweet malts and tangy hops are discernible. The taste isn't so subtle. It's bold and delicious! The taste is big and malty with some wonderful breadyness hiding in the background. Citrus hops come forward in the middle creating a fine balance. The finish is crisp and pleasantly bitter. The mouthfeel is mediumish with gently carbonation. A smooth and drinkable pale ale! 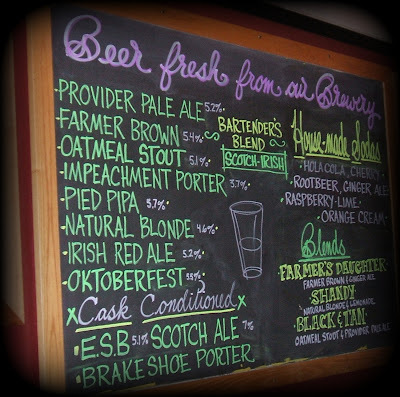 Provider Pale Ale beer has great flavor and character. It begs you to keep on drinking. I complied. And even managed to swindle my husband out of half his share. I'm devious like that. 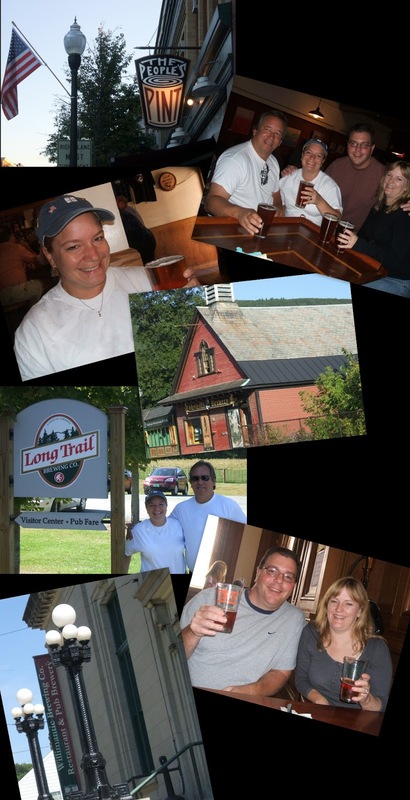 That was a fun pub crawl day back in 08!